Clean the chicken inside and out and pat dry. Place it on a spit and turn it over the fire. Grease it a little with lard until roasted. Once the chicken is half roasted remove it from the spit and carve it into pieces of equal size and put it in a roasting pan without the grease used for roasting it. Save the grease. Put the almond milk with spices in a saucepan and cook ½ hr over moderate heat for it to take on the flavor. Next, strain the almond milk over the chicken. Add the bacon and let all roast slowly. 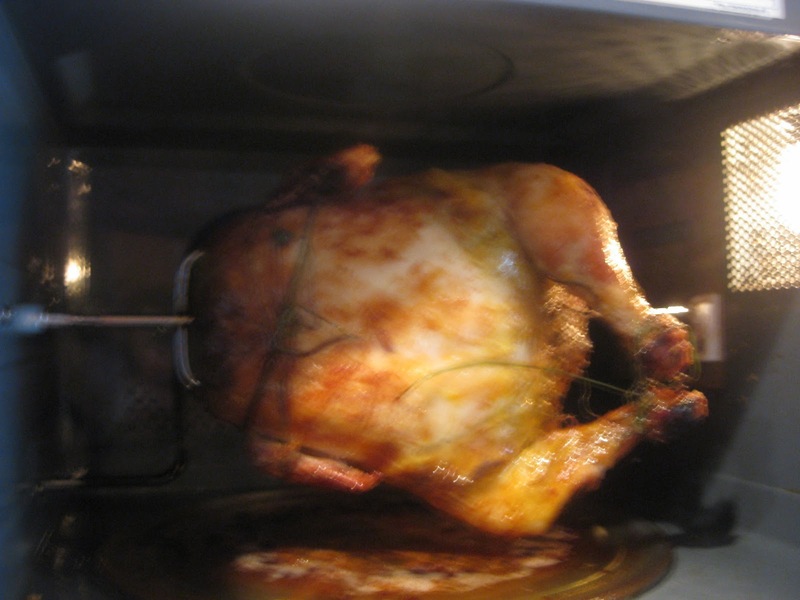 As chicken meat is very firm, cooking time varies and it can take between one and two hours. 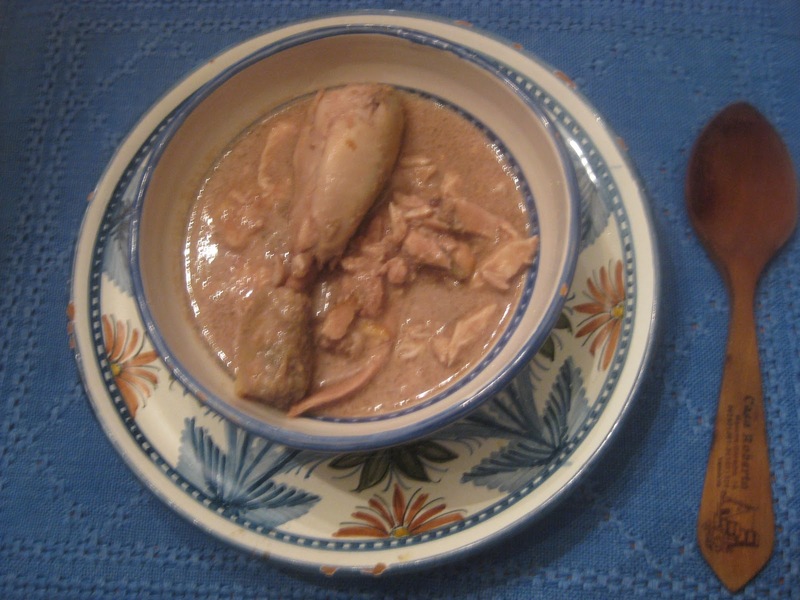 About 10 minutes before done, add the chicken livers mashed in a mortar and diluted with bitter grape juice or vinegar. Add a little salt and sugar if desired for it to take on a sweet and sour taste. Serve in bowls with the bacon diced. Nola claims that this dish: “is one of the three most important in cookery along with peacock sauce and blancmange and that of all the dishes in the world these are the best. 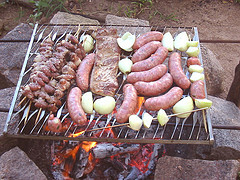 . .
 Mig-raust means half roasted in Catalan. This was a typical way of preparing chicken in the Middle Ages. See the blog titled ast, published December 7, 2011 for another version of this recipe.